Assume you’ve got a 14kg bucket of honey ready to jar. You have an order for a dozen 454g (or perhaps 1lb now Brexit means Brexit) jars and a dozen 227g jars. How many additional jars can you prepare – in standard or custom sizes – from the remainder? This Excel spreadsheet does the calculations for you. 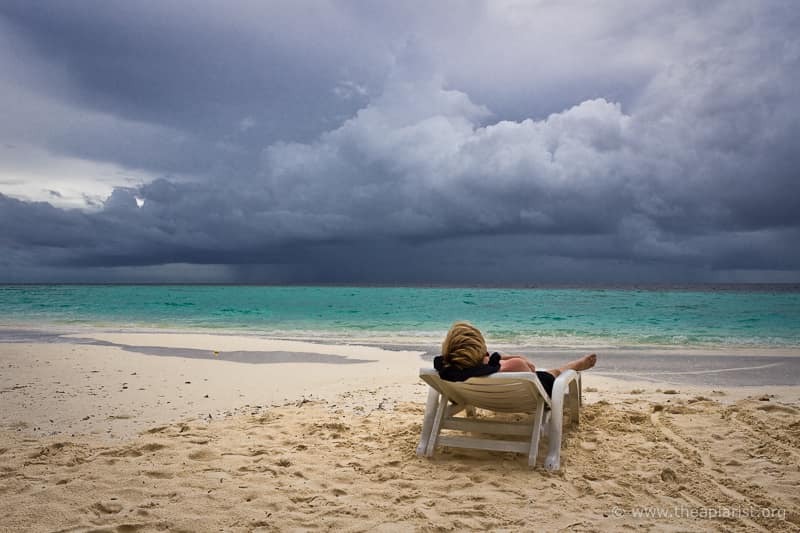 It couldn’t be easier to use (well, it could be, but life is too short). 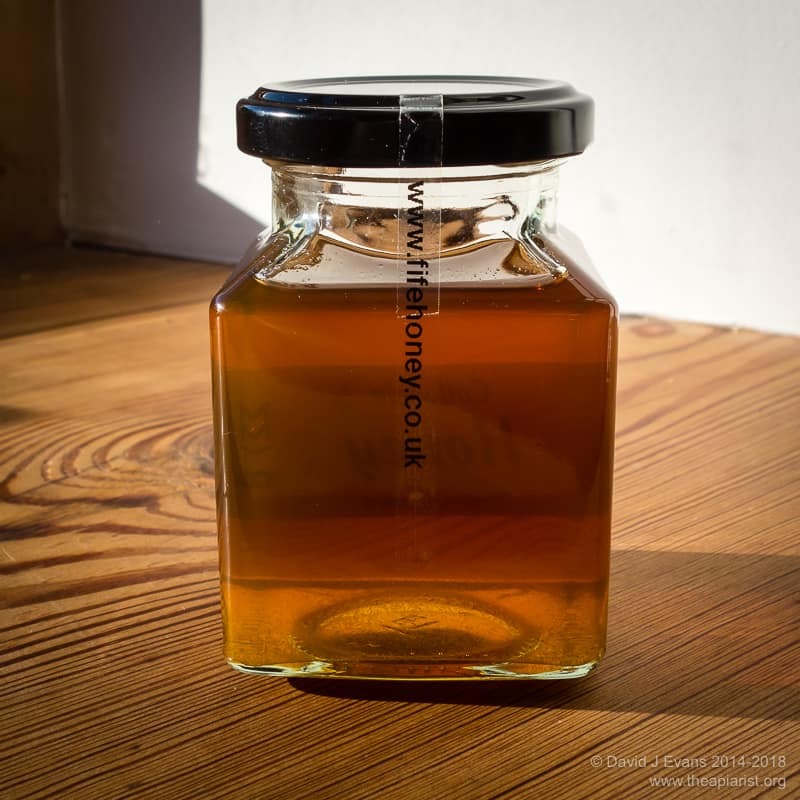 For example, using the figures from the opening paragraph (12 * 454g and 12 * 227g), you could choose to bottle the remaining honey in 12 * 454g, 17 * 340g, 25 * 227g or 51 * 113g jars. If you decide to also bottle a dozen 340g jars you can update the table in blue and the extra jars are automagically recalculated. 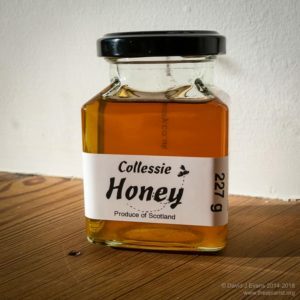 You can sell honey in any weights, not just the standard ones. If you use odd weights to bottle your honey this figure can be added to cell A15. Add the number required to cell B15. The extra jars of this custom weight are returned in cell D15. 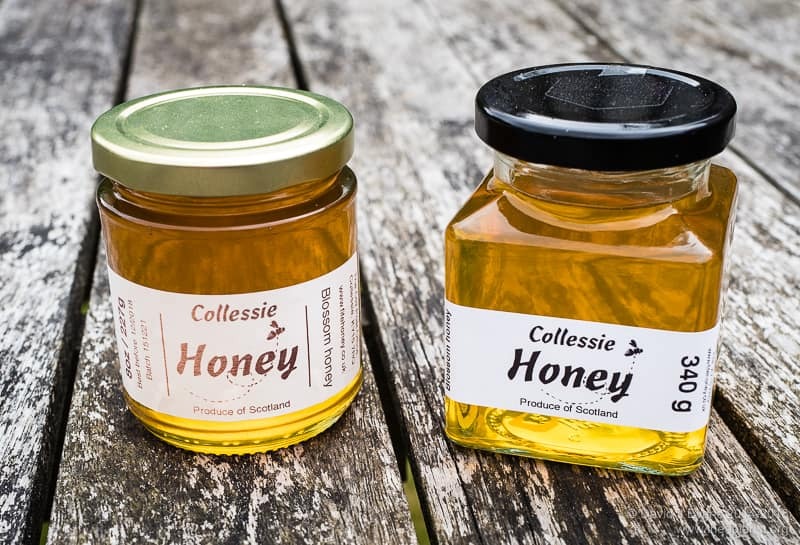 If you only want to sell your honey in a custom weight just set ‘Jars needed’ for all other weights to zero. † All calculations are rounded down. 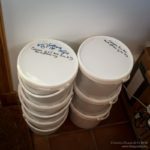 This is why it doesn’t suggest you can prepare 30.84 jars (total honey weight 13,620g) from your starting 14kg bucket. 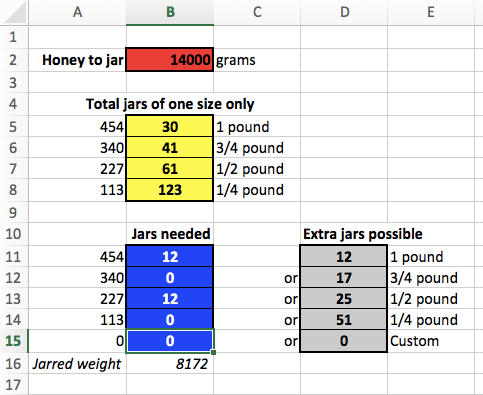 This entry was posted in Beekeeping, Labels and jars and tagged bottle, Excel, geekery, jar, utterly trivial on November 11, 2016 by David. 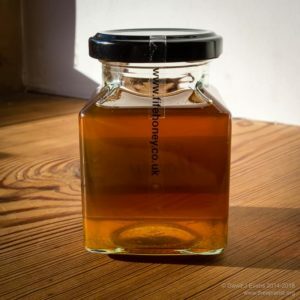 I managed to source some rather nice small square jars for honey recently. 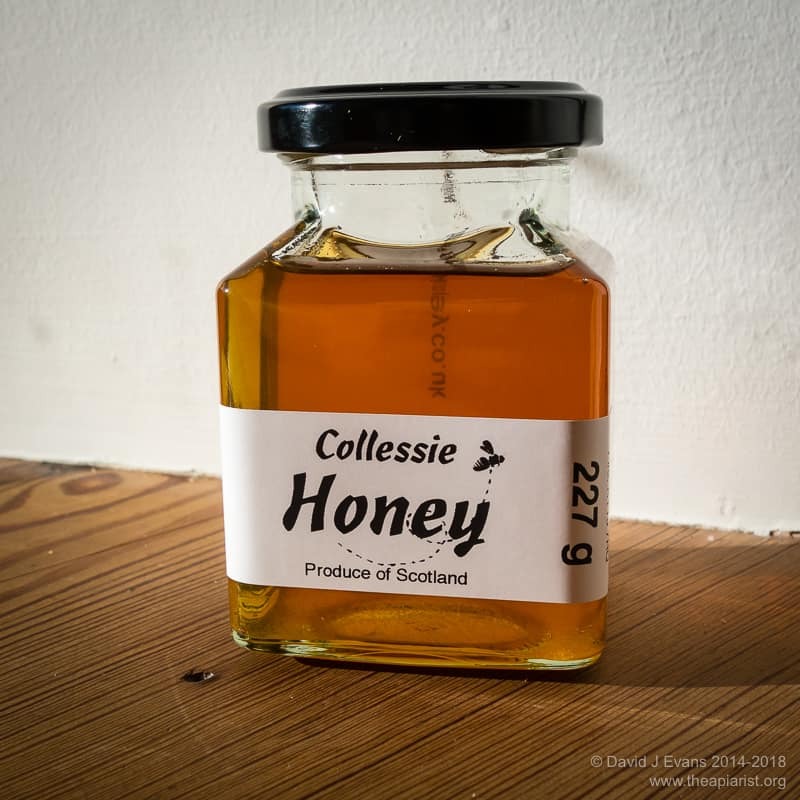 They have a nominal 200ml capacity which, when filled properly with honey, is 8 oz (227 g). Perhaps I should qualify “filled properly” … these have a slightly longer ‘neck’ than normal jars, so you don’t need to fill them to just under the lid. I bought them with black lids to ensure they looked distinctive on the store shelves next to the more usual ‘gold tops’. They are very easy to fill, with the slope of the jar shoulder being sufficiently steep that relatively few bubbles get trapped. In contrast, I find that small hex jars are a bit of a pain to fill as the shoulder is almost at right angles, more or less guaranteeing that an unsightly bubble or two remains after jarring. Even half pound round jars have a rather sharp angle at the shoulder and have a tendency to trap bubbles. Of course, none of these bubbles affect the flavour, but it’s always a good idea to try to make a top quality product look like a top quality product. It’s easy to apply labels to these small square jars and I’ve printed these on the smallest thermal printer address labels (89x28mm) for my Dymo LabelWriter. Tamper-detection labels were more difficult, with any of the normal ones looking unsightly … both being too large and contrasting unpleasantly with the black lids. In the end I used 6mm transparent thermal tape onto which I printed a website URL. This sticks very firmly to the lid and glass but is difficult to see unless you look carefully. When the jar is opened the tape stretches and distorts, making any tampering pretty obvious. Unfortunately, this thermal tape is rather difficult to remove from the backing paper, so labelling large numbers of jars can get tedious. But as they say “the proof of the pudding” … the jars look good to me but what’s more important is how well they sell. NOTE – in response to the Q from Bridget below and after a bit of searching I discovered that I ordered these from eBay (seller glass_jars_from_jarsdirect). At the time of writing they’re £38 for 100 delivered. One or two of the regular honey jar suppliers also sell a 12oz (~280ml) square jar but the cost is higher still. This entry was posted in Beekeeping, Honey, Labels and jars and tagged honey, jar, lookin' good on May 16, 2016 by David.